On the heels of the New York Giants' 25-24 loss on the road against Jacksonville, coach Tom Coughlin expressed frustration that his team didn't hold on to a 21-point lead against the Jaguars, according to Jordan Raanan of NJ.com. On the heels of the New York Giants' 25-24 road loss to Jacksonville, coach Tom Coughlin expressed frustration that his team didn't hold on to a 21-point lead, according to Jordan Raanan of NJ.com. 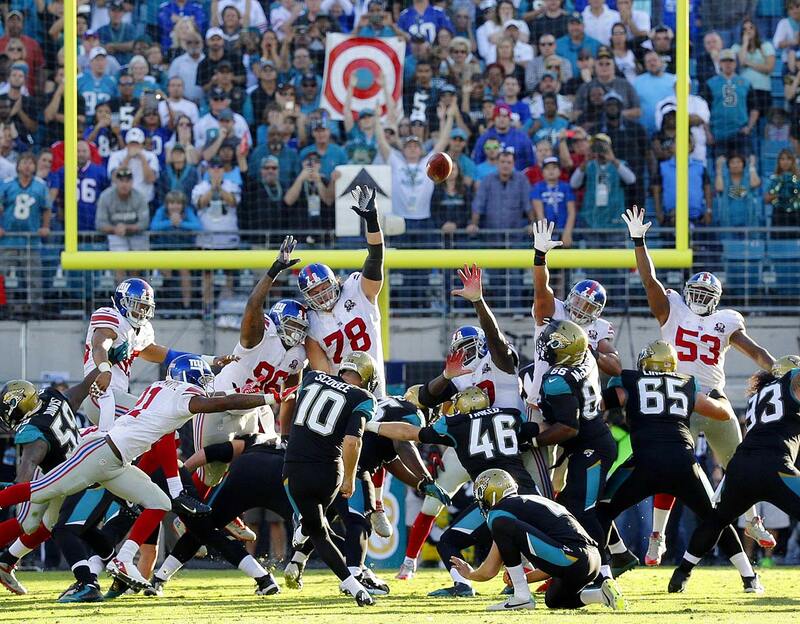 New York led 21-3 at the end of the first half, but Jacksonville capitalized on two second-half turnovers to mount the franchise's biggest-ever comeback, ending its own four-game losing streak and extending the Giants' winless streak to seven games. "We've talked about this and we've talked about turnovers. Two turnovers for touchdowns?" Coughlin said. "We could have knelt on the ball in the second half and had a better chance to win." Blake Bortles notched his first game-winning drive and the defense scored twice in the same game for the first time as the Jaguars managed their largest comeback ever, rallying from a 21-point deficit to beat the Giants 25-24 for their second victory of the season. Bortles completed four passes and used two keepers to put Jacksonville in field-goal range in the final minute, and Josh Scobee kicked a 43-yard field goal with 28 seconds remaining that turned out to be the difference. 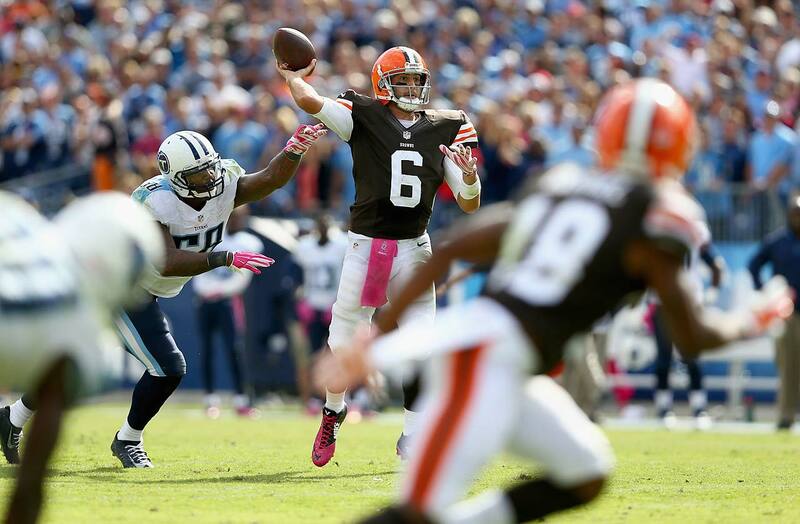 The Browns overcame a 25-point deficit in defeating Tennessee 29-29 in Nashville in Week 5 of the 2014 season. Quarterback Brian Hoyer threw this six-yard scoring pass to Travis Benjamin for the winning points with 1:09 remaining. 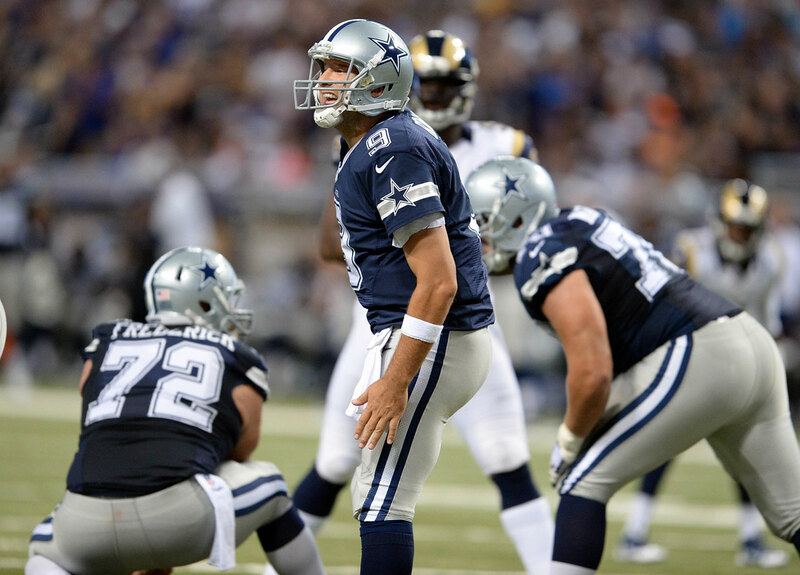 Tony Romo had his 21st comeback victory in the fourth quarter or overtime, a franchise best, as he led the Cowboys in erasing a 21-0 deficit and stun the Rams 34-31. After being down 21-0, Terrance Williams scored the go-ahead touchdown late in the fourth quarter, and Bruce Carter returned an interception 25 yards for a TD on the next snap, capping the rally. 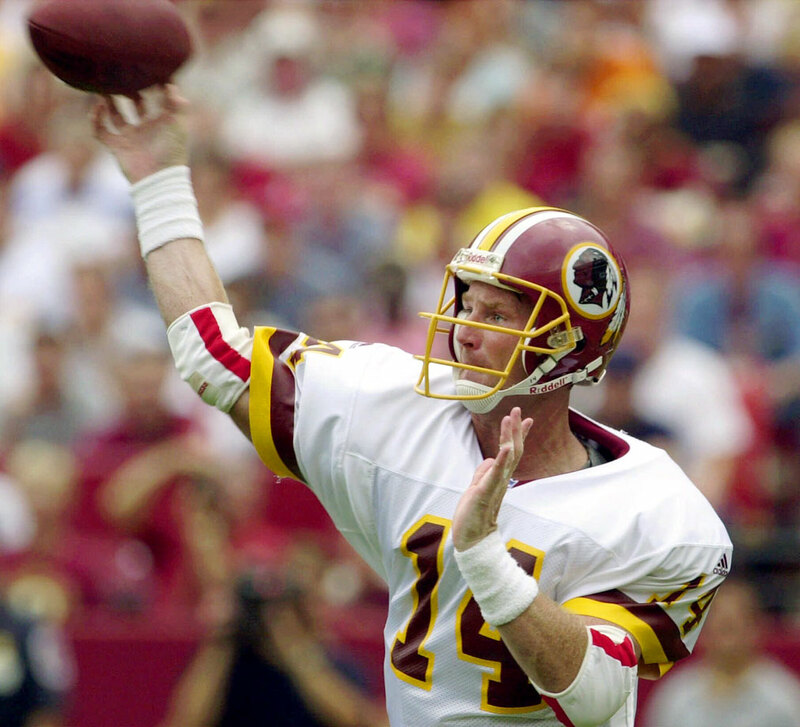 Dallas also rallied from a 21-point deficit in 1984 against New Orleans and 1999 against Washington, although both of those wins came in overtime. The Indianapolis Colts stormed back from a 38-10 deficit to defeat Kansas City 45-44 in a wild card playoff game in the 2013 playoffs. 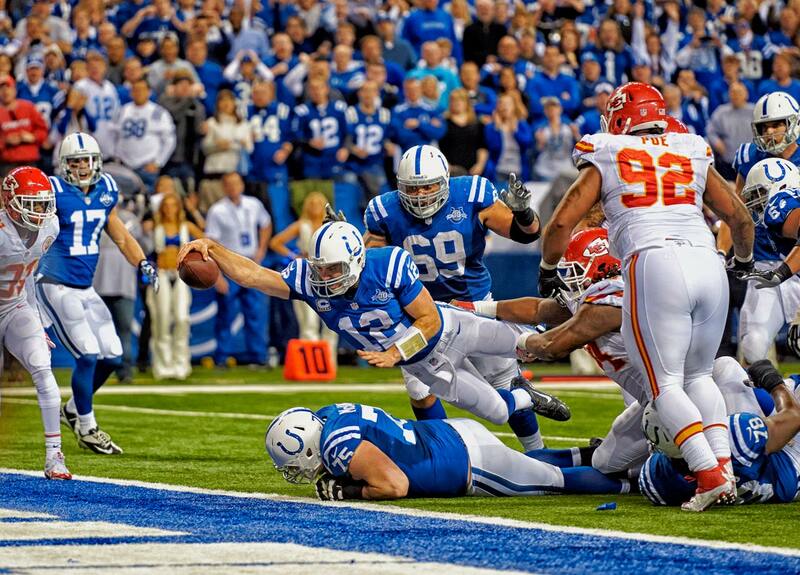 Quarterback Andrew Luck trimmed the Chiefs lead by recovering a fumble and scoring on this dive into the end zone. 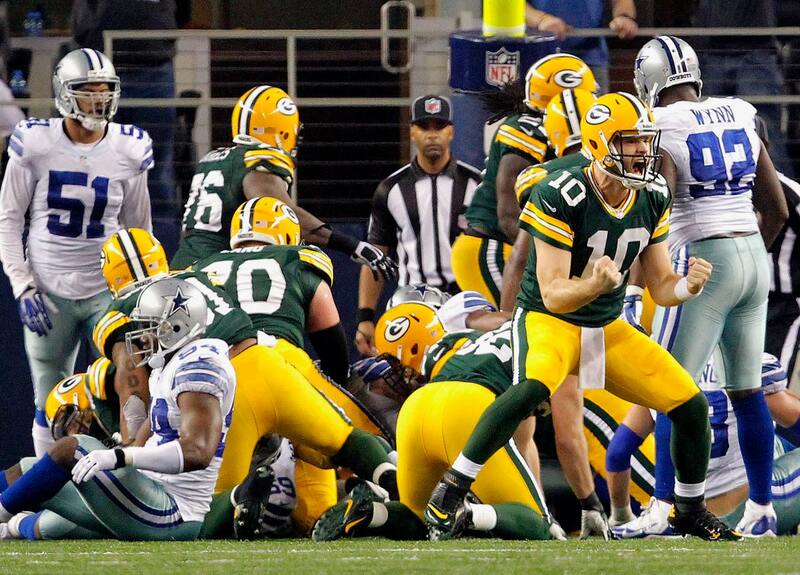 In his last start in place of Aaron Rodgers, Matt Flynn threw four touchdown passes in the second half, Eddie Lacy had the winning score on a 1-yard plunge after an interception by Tony Romo gave them one more chance, and the Packers matched the biggest comeback in franchise history (down 23 points) in a 37-36 win over the Cowboys. Green Bay also came back from a 23-point deficit against the Rams in 1982. Tom Brady threw three touchdown passes into the teeth of a 22-mph wind in the second half as the Patriots, down 24-0 at the half, scored 31 points in a row. Peyton Manning's touchdown pass late in the fourth quarter forced overtime, where the Broncos' Tony Carter ran into Ryan Allen's punt after it bounced, Nate Ebner recovered for the Patriots at the Broncos 13-yard line and Stephen Gostkowski kicked a 31-yard field goal with 1:56 left in OT to give New England a 34-31 win. Seattle erased a 21-0 deficit against Tampa Bay after Russell Wilson threw a 10-yard touchdown pass to Doug Baldwin with 1:51 left in regulation to tie the game at 24-24 and Steven Hauschka kicked the game-winning 27-yard field goal with 8:11 left in overtime. The two-time defending AFC South champions Houston Texans found themselves trailing San Diego 28-7 at halftime of their 2013 opener, but reeled the Chargers back in. 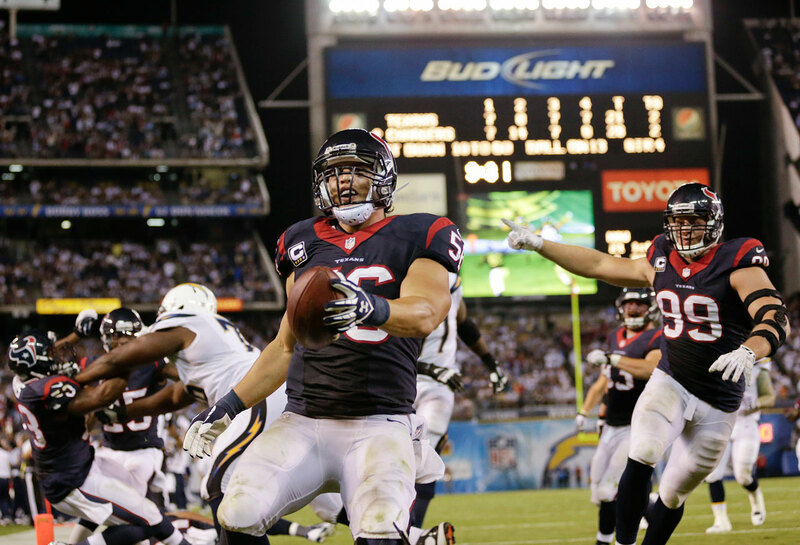 Linebacker Brian Cushing returned an interception for a touchdown to help key the comeback. Kicker Randy Bullock drilled a 41-yard kick as time expired to finish the 31-28 win. The Broncos had a 2-3 record to start Peyton Manning's first season with the team. 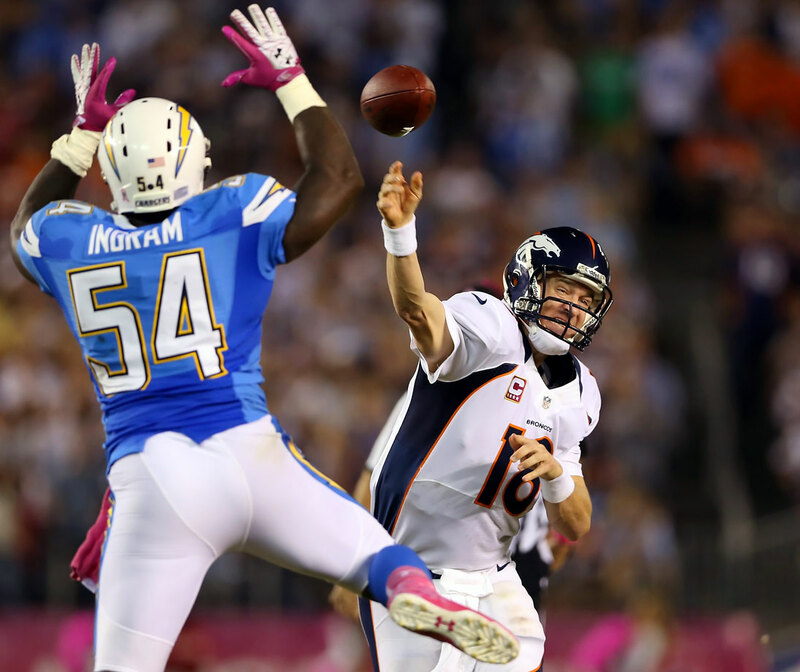 The Chargers jumped out to a 24-0 lead at halftime, and Denver's playoff hopes looked like they were about to take another hit. But Manning tossed three second-half touchdowns and Denver's defense scored twice en route to a 35-24 win. It was the first of 11 straight wins by the Broncos to end the regular season. Denver also had overcome a 24-point deficit in 1979 against the Seahawks. 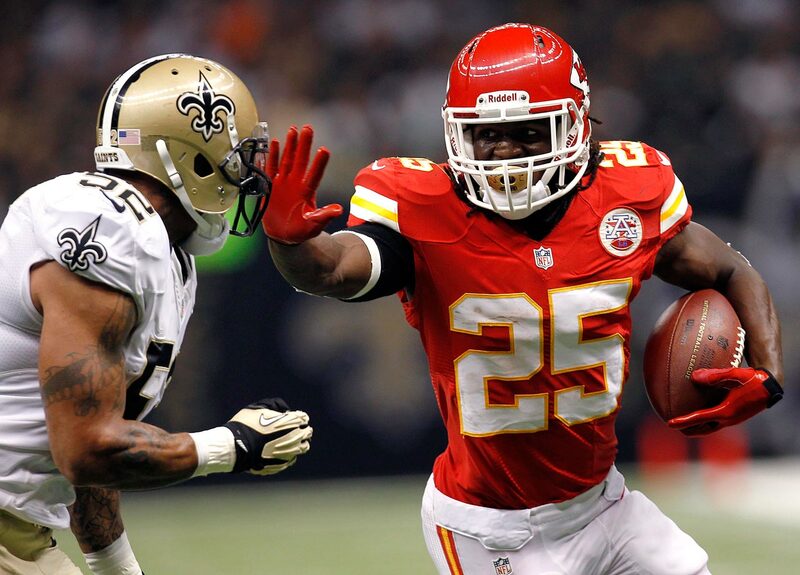 The Chiefs overcame an 18-point deficit in the third quarter to beat the Saints 27-24 in overtime at the Superdome. Jamaal Charles, who finished with 233 yards rushing and 55 yards receiving, scored the only touchdown the Chiefs needed as kicker Ryan Succop went a perfect 6 for 6 on kicks ranging from 25 to 45 yards. Baltimore trailed Arizona 24-3 with four minutes left in the second quarter. But after halftime, the offense came together. "We woke up, plain and simple," said wide receiver Anquan Boldin, who caught seven passes for 145 yards. 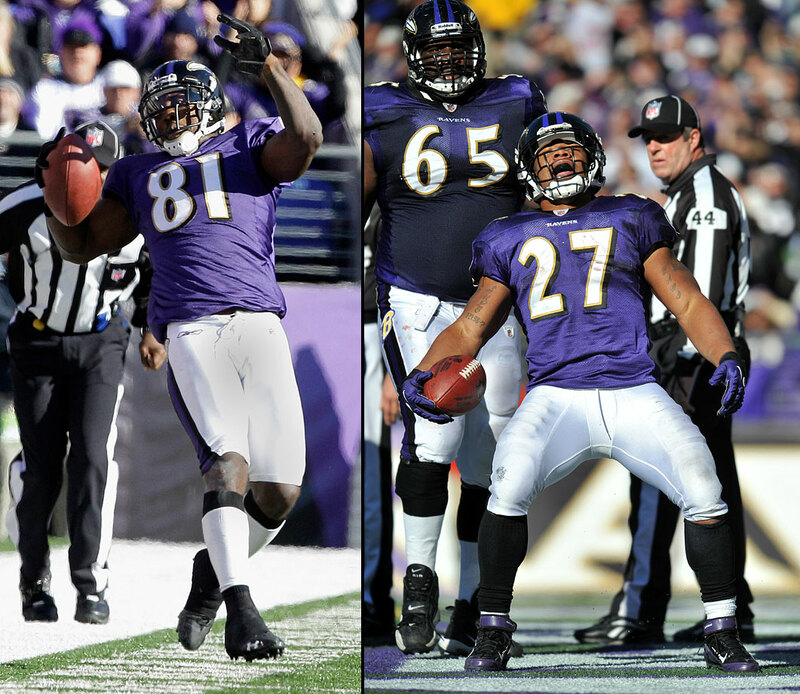 Ray Rice ran for three second-half touchdowns in the Ravens' 30-27 win. A week earlier, the Lions had overcome a 20-point deficit for an overtime win. This time, Detroit dug an even deeper hole. Dallas led 27-3 early in the third quarter, but Detroit's Bobby Carpenter and Chris Houston each returned interceptions for touchdowns. 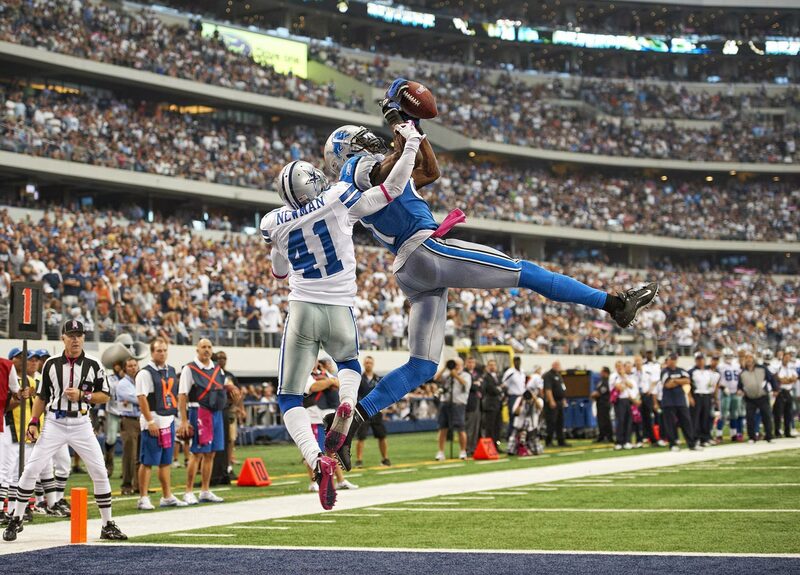 Then, Calvin Johnson dominated the final period with two touchdown catches. The Saints eventually won the Super Bowl behind its high-powered offense, but its defense helped key its come-from-behind win. After Miami built a 24-3 lead, Darren Sharper and Tracy Porter each returned interceptions for touchdowns in a 46-34 win. The Saints had also overcome 21-point deficits in 1987 and 1969. 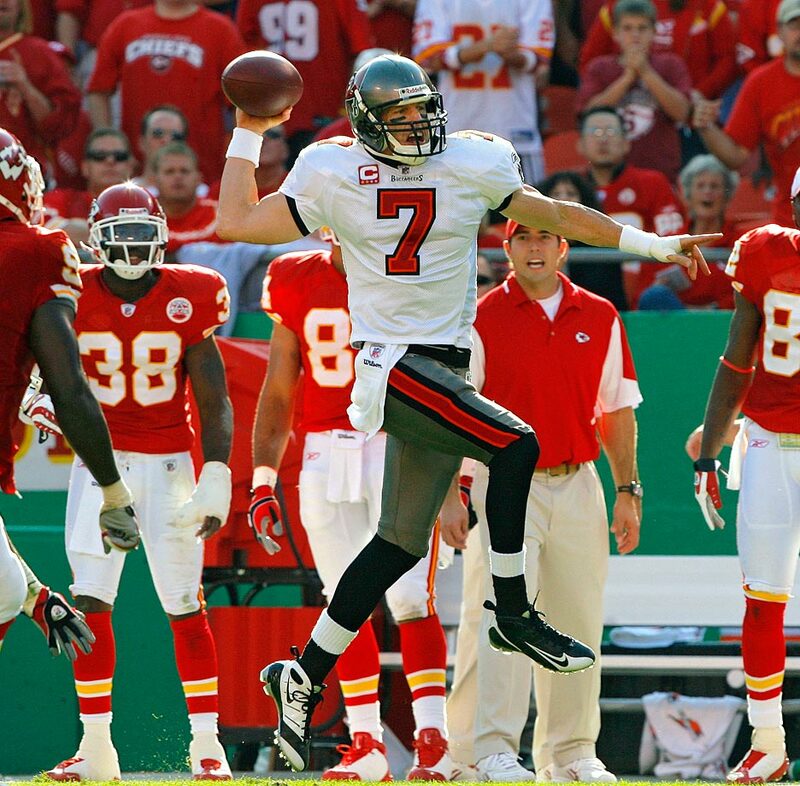 Down 24-3 late in the first half, the Bucs came back and sent the game into overtime after Jeff Garcia threw a touchdown and completed a two-point conversion. 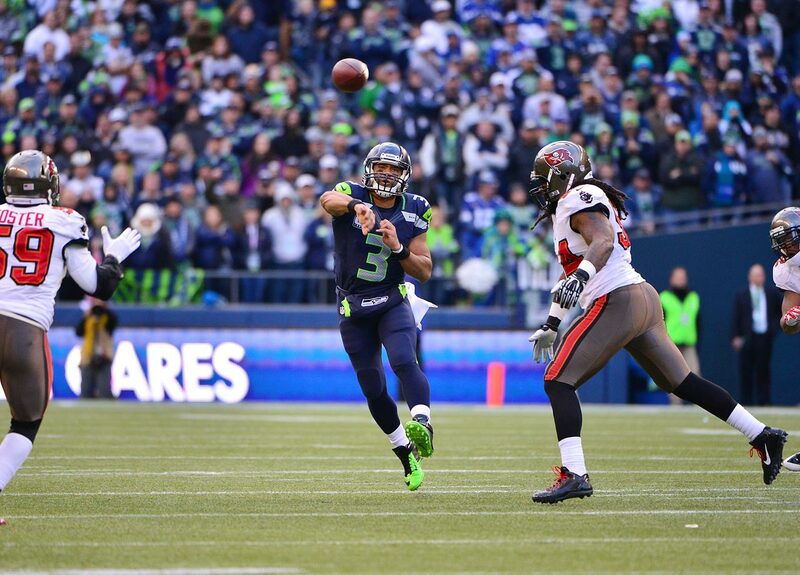 Tampa Bay went on to win 30-27 but may not have without a fortuitous penalty. Bucs kicker Matt Bryant missed a field goal, but a false start on lineman Jeremy Trueblood gave Tampa Bay another chance. Garcia completed a pass, and Bryant drilled the shorter second attempt. 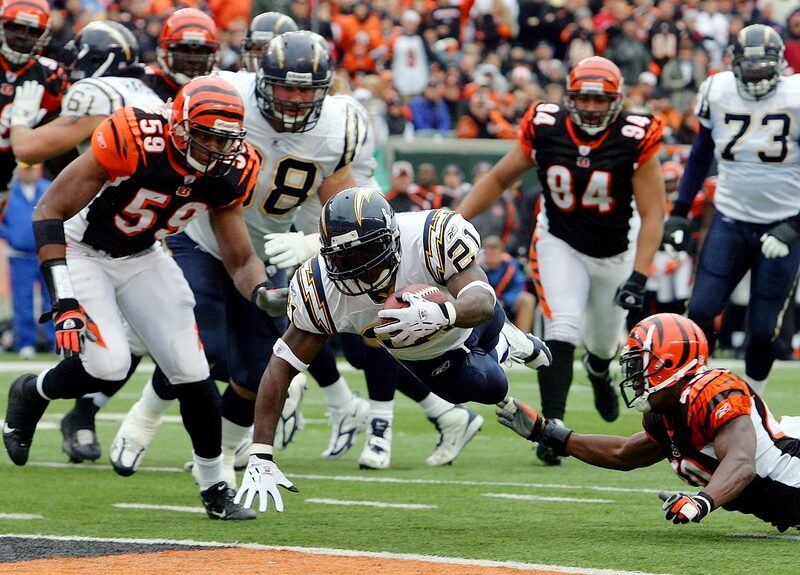 One of the biggest comeback victories in Chargers' history was a noteworthy game for LaDainian Tomlinson. The running back was one of the top players in the NFL and would win that season's MVP award. Against the Bengals, he rushed for four touchdowns as San Diego recovered from a poor start, down 21-0 after the first quarter. "Being involved in that game, it was like it was a cartoon or something," Tomlinson said afterwards. The 1983 Chargers also won a game after falling behind by 21 to the Seahawks. 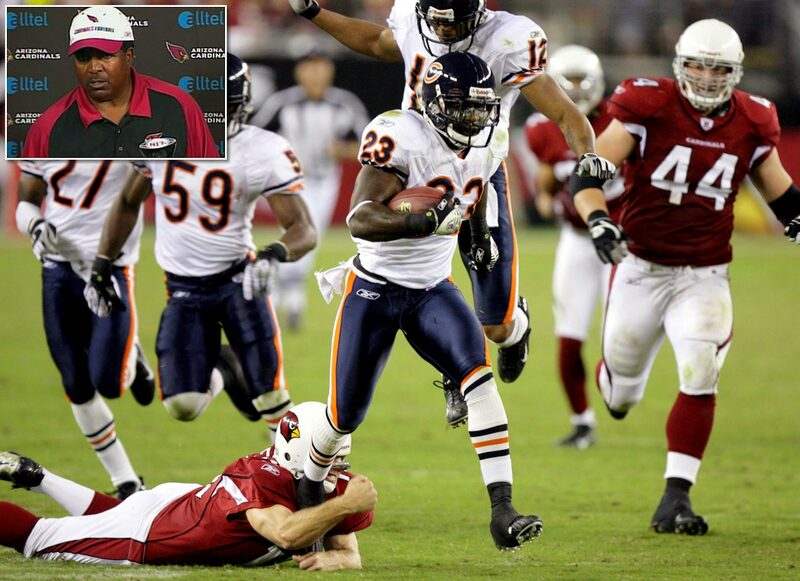 Cardinals coach Dennis Green's rant -- "They are who we thought they were." -- is the most famous part of Chicago's comeback from 20 points down in the third quarter. But the most impressive part of the win might be that the team didn't score an offensive touchdown. Quarterback Rex Grossman committed six turnovers and Chicago's three touchdowns came on two fumble returns and a punt return. The Bears also overcame a 20-point deficit against Tampa Bay in 1987. The Panthers were coming off a Super Bowl appearance but had started the season 1-7. 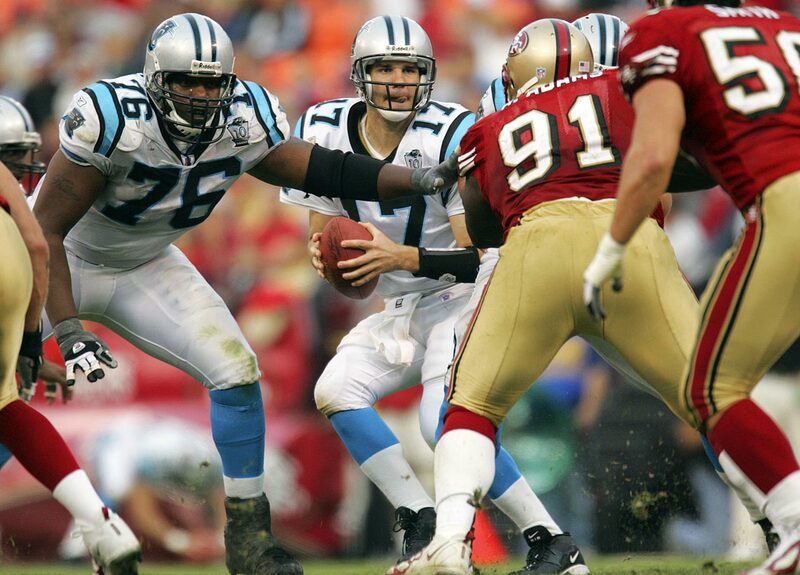 They fell behind the 49ers by 17, but Jake Delhomme led the comeback by throwing for 303 yards and three touchdowns. The win helped jumpstart the Panthers to a 6-2 finish. It also matched the team's comeback in the 2003 season opener, when three Delhomme touchdowns led it past Jacksonville. New York trailed by 23 points heading into the fourth quarter, but quarterback Vinny Testaverde caught fire. He threw for 235 yards and four touchdowns in the last period. The tying touchdown pass went to offensive lineman Jumbo Elliot (the only catch of his career). 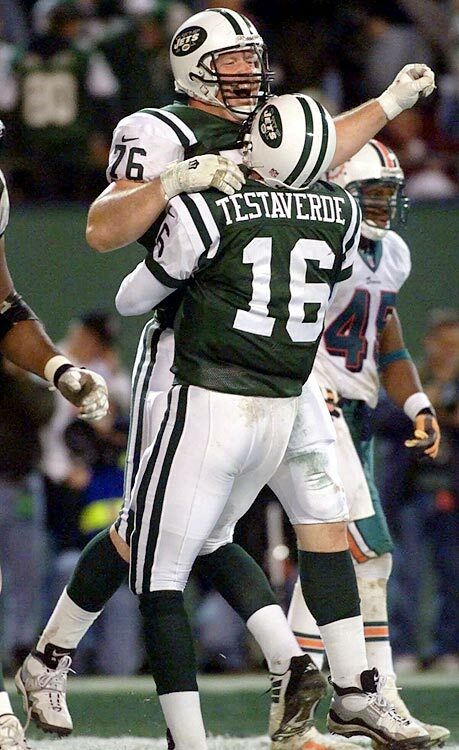 A decade after the "Monday Night Miracle," Testaverde said, "I get goose bumps just thinking about (the game)." Tim Biakabutuka ran for three touchdowns in the first quarter to give the Panthers a quick 21-0 lead, but then Brad Johnson started throwing touchdown passes. He tossed two to Michael Westbrook in the second quarter. He threw two more to Albert Connell to give Washington an 11-point lead. Then, the Panthers rebounded to take a 36-35 lead. But a Brett Conway field goal finally won it for Washington. 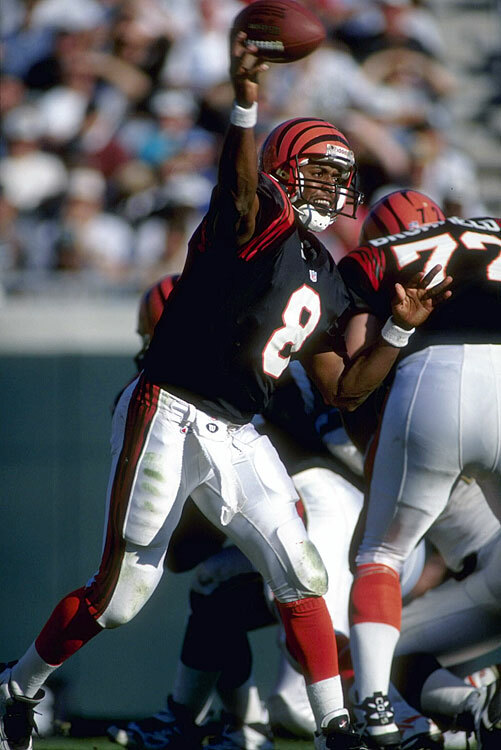 The franchise also overcame a 21-point deficit in 1990 against the Lions. 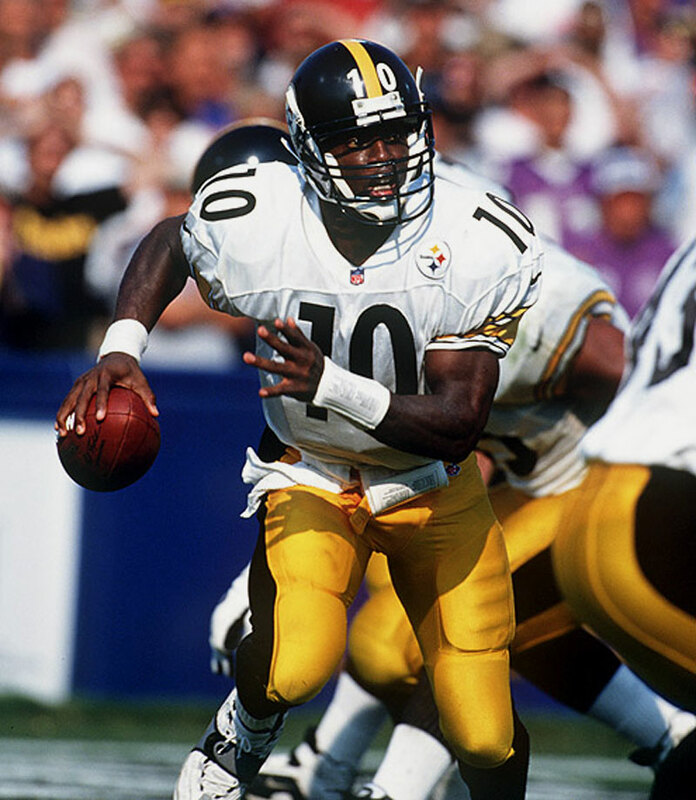 Kordell Stewart had a breakthrough game a week earlier when he ran for 117 yards and showed off an improved throwing motion. His strong play continued against the Ravens when he ran for two touchdowns and threw for three others as the Steelers overcame a 21-0 deficit. The Vikings learned during the game that they had been eliminated from playoff contention. The Bengals took advantage of Minnesota's letdown to overcome a 24-3 halftime deficit. Cincinnati scored 24 unanswered points in the second half. The comeback tied a franchise record set against Seattle in 1981. The Bills trailed the Oilers 35-3 just after halftime in the Wild Card game now known as "The Comeback." It looked like Buffalo's quest for a third straight Super Bowl appearance would end in the first round. 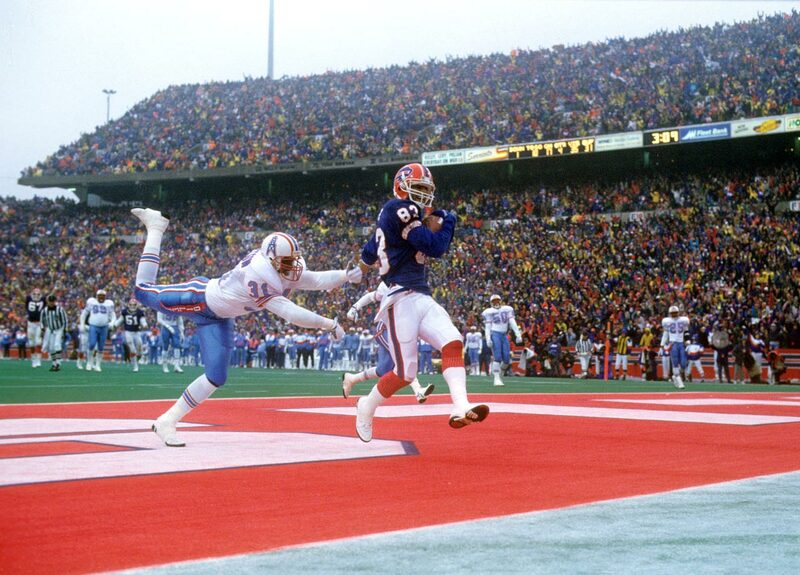 But Frank Reich threw four second-half touchdowns, including three to Andre Reed, and the Bills won 41-38 in overtime. Buffalo's victory remains the largest comeback in NFL history. 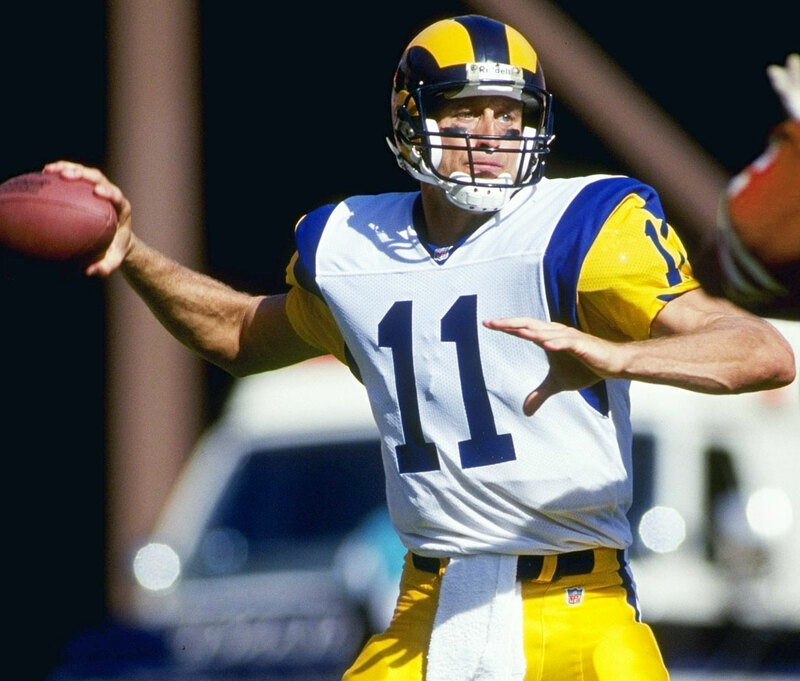 Down 27-3 at the half, Jim Everett threw three touchdowns in the second half as the Rams, then based in Los Angeles, came back to beat the Buccaneers 31-27. The Rams defense held Tampa Bay scoreless in the second half. Sean Gilbert had two sacks and Gerald Robinson added another. 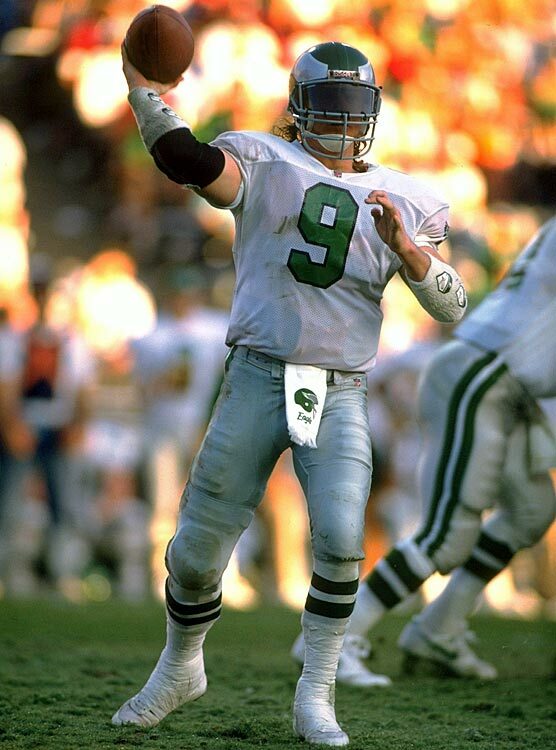 Jim McMahon hit Keith Jackson and Fred Barnett for back-to-back touchdowns to help Philadelphia close a 23-0 gap against the Browns. Roger Ruzek made four short field goals as Philadelphia won 32-30. The victory pulled the Eagles' record to .500 for the season. The Broncos started the Monday Night Football game with 24 straight points, but the Los Angeles Raiders pulled out an overtime win. 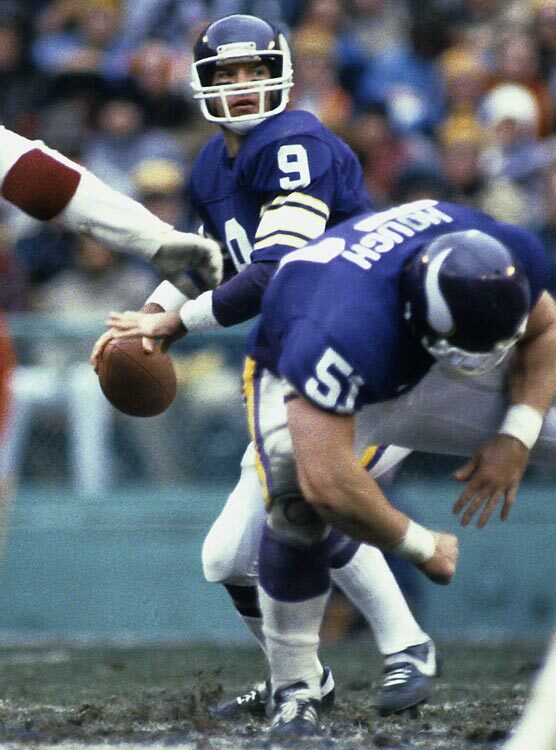 Jay Schroeder hit Steve Smith for two long touchdowns in the third quarter to start the Raiders' comeback. 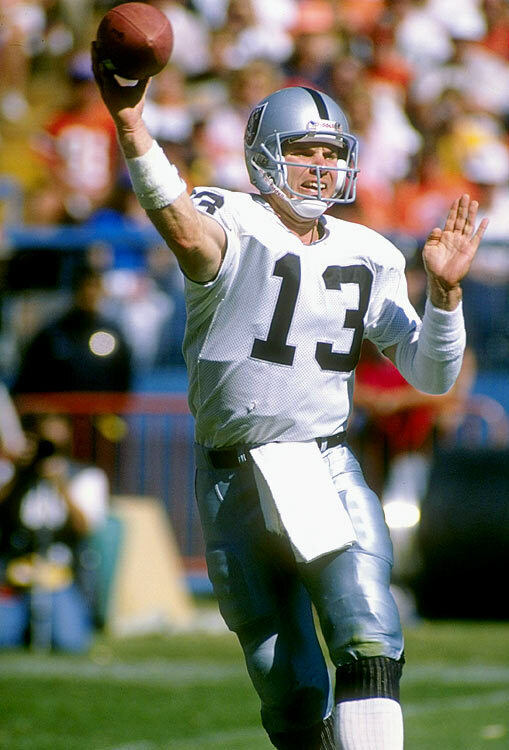 The Raiders had also overcome a 24-point deficit against San Diego in 1982. 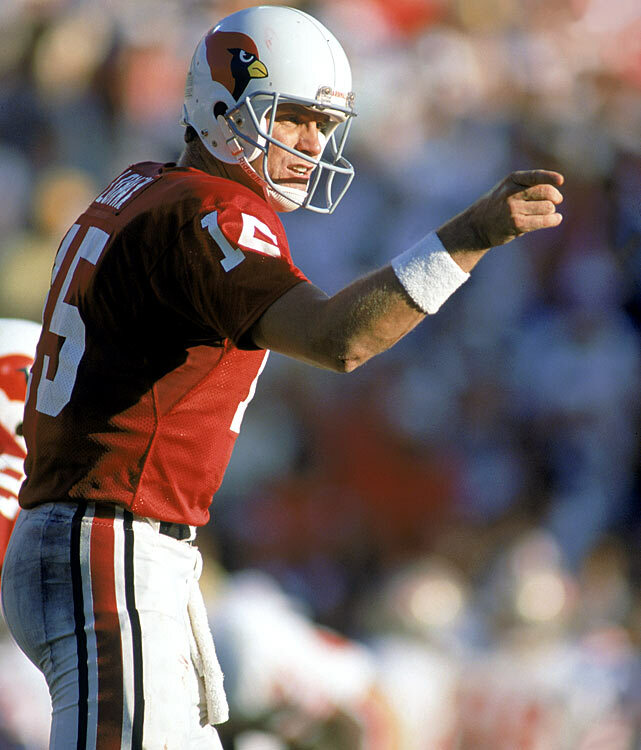 The Cardinals, in their final season in St. Louis, trailed Tampa Bay 28-3 heading into the fourth quarter. But Neil Lomax caught fire and threw three touchdowns in the final period -- including two to J.T. Smith. -- to give his team a 31-28 victory. The Falcons made two 21-point comebacks in 1983. 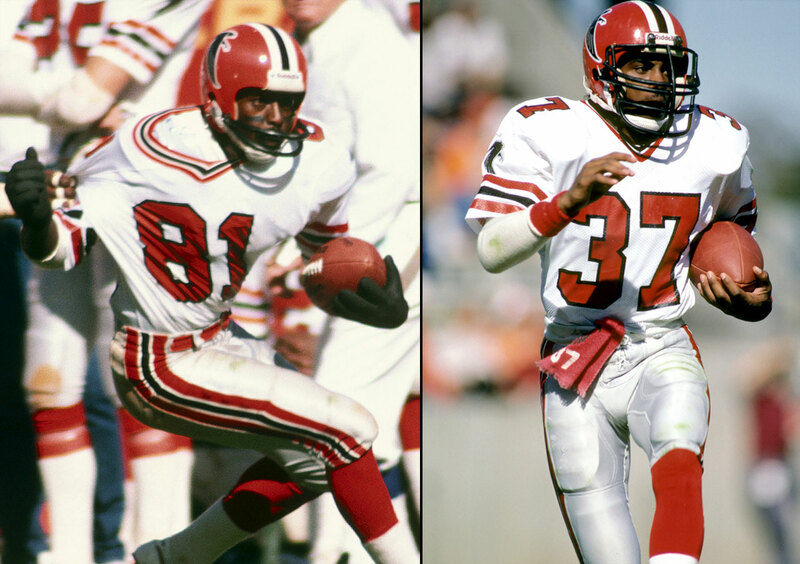 Against the Jets, Atlanta trailed by three touchdowns in the third quarter before Billy Johnson (left) found the end zone twice and the Falcons scored 27 straight points to close the game. A month later, against the Packers, Atlanta trailed 21-0 in the second quarter. But Kenny Johnson (right) returned two interceptions for touchdowns -- the first tied the game, the second won it in overtime. The 49ers were struggling in Bill Walsh's second season in charge and entered with a 5-8 record. The Saints, behind three Archie Manning touchdown passes, took a 35-7 lead into halftime. 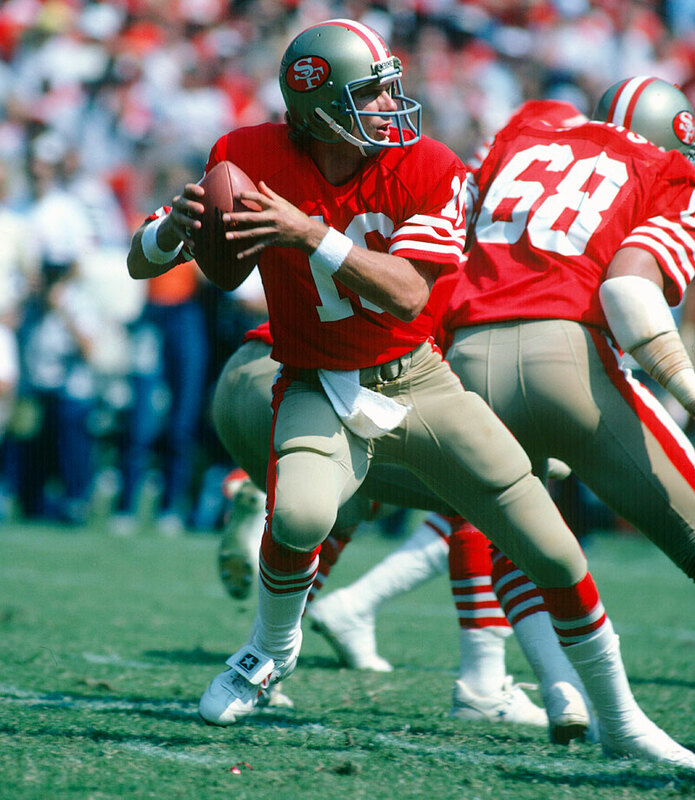 But Joe Montana, a part-time starter in his second year in the league, threw two touchdowns and ran for another to complete the biggest regular-season comeback in NFL history. 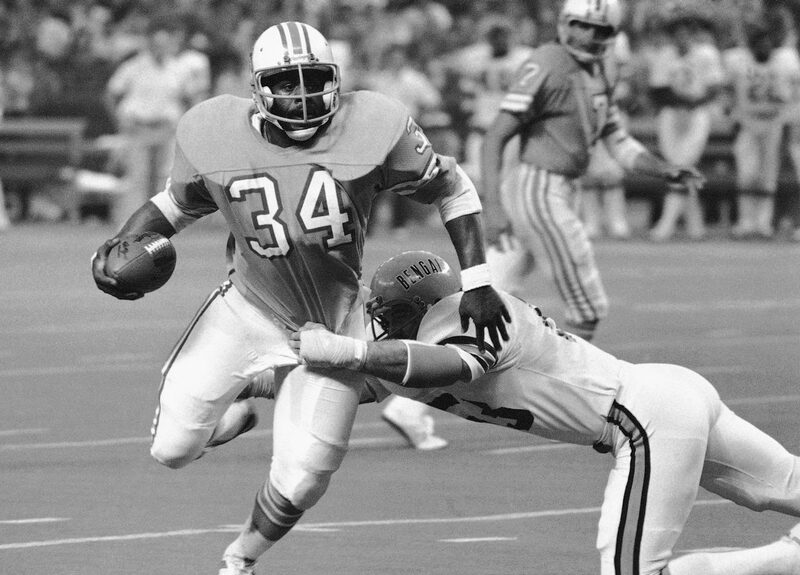 Earl Campbell ran 38 times for 154 yards and a touchdown as the Houston Oilers overcame Cincinnati's 24-0 advantage. The Oilers went on to reach the AFC Championship Game that season. Rookie quarterback Tommy Kramer relieved Bob Lee late in Minnesota's game with San Francisco and threw three fourth-quarter touchdown passes. The Vikings overcame five turnovers in turning a 24-0 deficit into a 28-27 victory. The Dolphins' final regular season tune up started poorly. 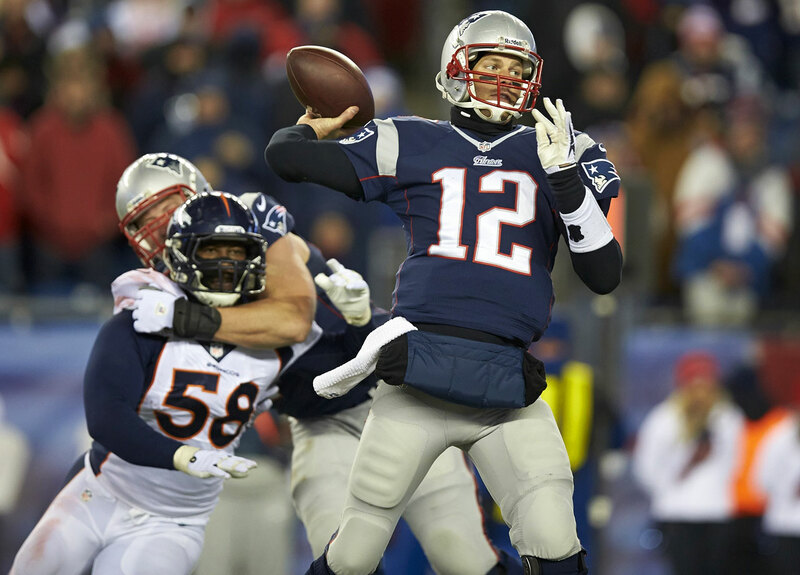 Early in the second quarter, New England led 24-0. 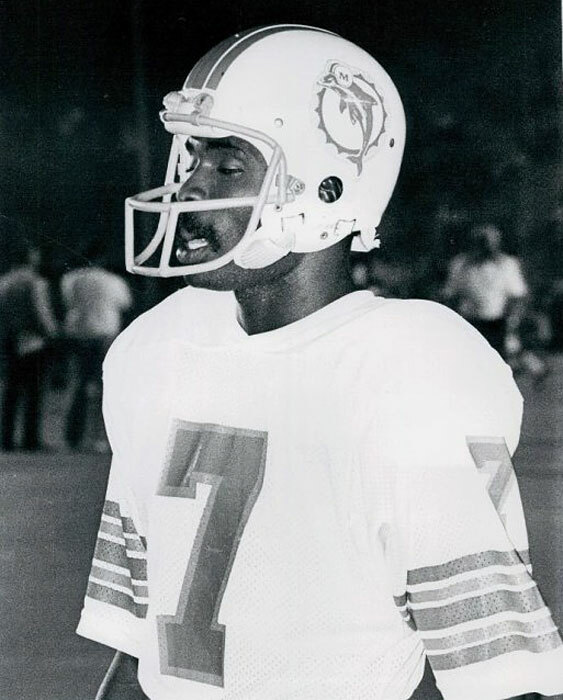 But the Dolphins, winners of back-to-back Super Bowls, rebounded with a 24-0 run of their own. Melvin Baker caught two touchdowns on the way to a 34-27 Miami win. The Dolphins' title defense would end the next week in the first round of the playoffs. In a game of runs, Washington scored 27 straight points to take a 33-14 lead. 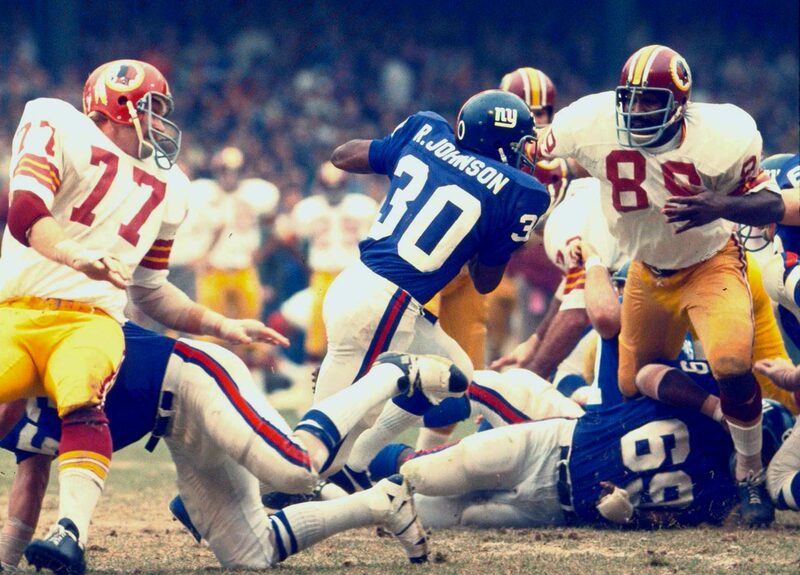 But Ron Johnson ran for two touchdowns and Fran Tarkenton hit Tucker Frederickson for a 57-yard score as New York won 35-33. It was the franchise's biggest comeback in the Super Bowl Era. The Jaguars earned 258 total yards of offense, 55 of which came on an 11-play drive that ended with a 43-yard field goal to seal the victory will 28 seconds remaining. Jacksonville's game-winning kick ended a second half marred by injuries to two New York right tackles and a fumble by tight end Larry Donnell. "A very disappointing, discouraging [loss], all of the above for us," Coughlin said. "We came down here feeling like we could win. Thought we prepared well. And nothing happens on game day." "It's a long game. Sixty minutes. That's is why it's that. You have to play four quarters. We're playing two, maybe three sometimes." Despite seven catches for 90 yards from Odell Beckham Jr. and two touchdowns and 91 yards on 26 carries from Rashad Jennings, the Giants' loss moved them to 3-9, tied with Washington for last in the NFC East. Jacksonville improved to 2-10 on the season and will face the Houston Texans at home next week. New York travels to Tennessee to play the Titans on Dec. 7.